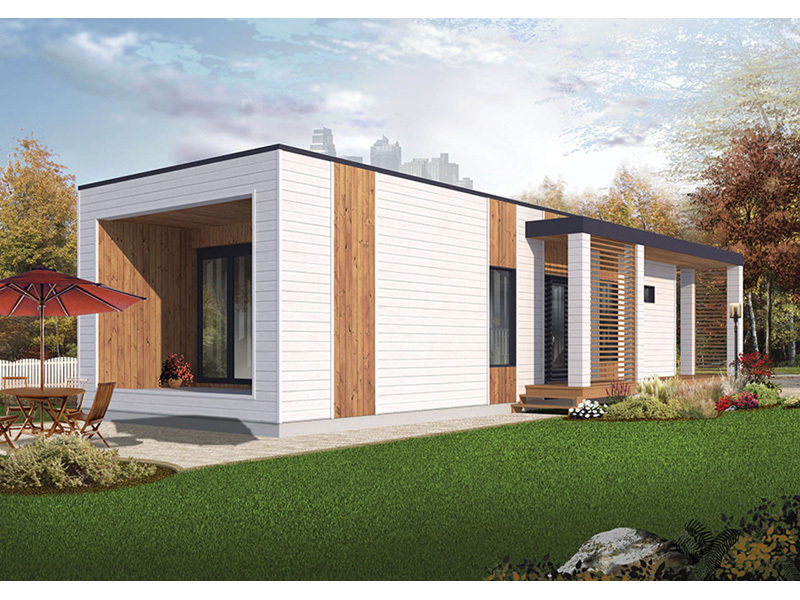 The Tova Modern Home has 2 bedrooms and 1 full bath. This narrow lot modern home offers an uncomplicated floor plan that's open and airy. The kitchen and living space combine and includes an eating bar in the kitchen that overlooks the living area. There's two bedrooms with oversized windows for added sunlight. The washer and dryer are carefully stowed away in a closet in the hall and the full bath is adorned with an oversized shower. 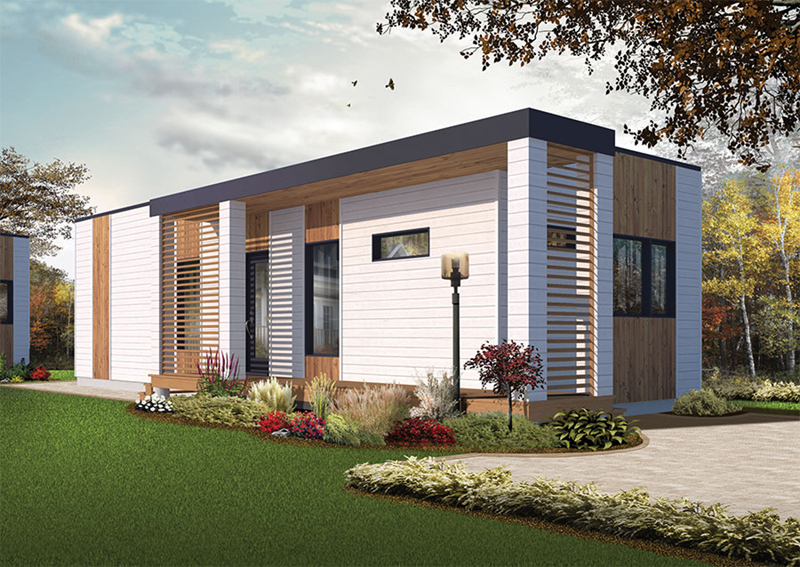 The Tova home plan can be many styles including Ranch House Plans, Beach & Coastal House Plans, Contemporary House Plans, Modern House Plans, Sunbelt Home Plans and Vacation House Plans.